This was OPPO’s first ever UK event and what a setting they chose. A modern botanical walkway surrounded by bright neon lights – with the magic of the iconic Tower Bridge Lift beneath your feet. Executive Director of Sales at OPPO, Terence Tan quickly got to talking about these incredible phones, including the Find X’s innovative camera. “The camera pops up when you need it and pops in when you don’t”, he explained, showcasing the incredible flagship. The great thing about a pop-up camera like this is that there’s nothing getting in the way of that beautiful 6.4-inch screen. It lets you enjoy the amazing display without any unsightly notches or camera bumps getting in the way. So, you can completely lose yourself in your fave movies and games. And the camera itself is a real stunner. The 16MP and 20MP dual lens rear camera, and 25MP front-facing camera, come with AI-enhanced shooting options that do all of the work for you. Doesn’t matter if you’re in a low-light setting or enjoying a day at the beach, the Find X will get it just right. Talk then moved onto the security: “Find X is the first Android smartphone to feature 3D structured light technology. It uses 15,000 facial dots and intelligent analysis to produce 3D recognition, which is 20 times safer than fingerprint”. 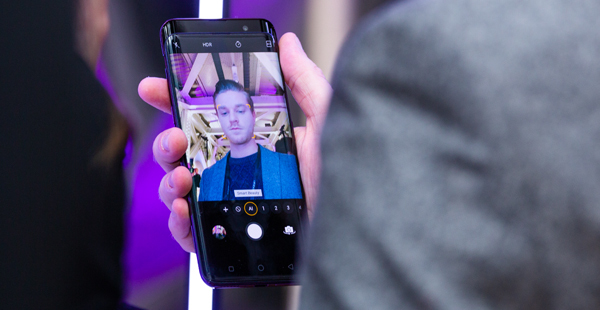 Basically, it creates a model of your face with millimetre-level accuracy, so your phone will be amazingly secure, and you’ll be able to access it speedily and easily. When talking about the RX17 Neo and Pro, Tan had this to say: “we bring to you features you can really boast about, like our impressive battery life”. In fact, in 2014, OPPO was the company that introduced VOOC Flash Charging Technology into smartphone devices. This is tech that gives you two hours of talk time after just a five-minute charge. Bring on the chat. As he was displaying the specs on these phones we were reminded about how much there is to love about these phones: the water drop design gives you loads more of that dazzling screen to watch films and TV on, and the useful in-screen fingerprint display keeps others out of your precious phone. And after taking another close look at the OPPO range, we were impressed, yet again, by the look and finish on them. 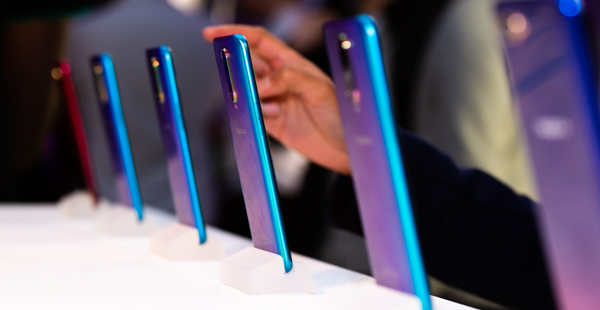 OPPO has really gone to town with its gradient colour design. When held up to the light, these phones shimmer, fading seamlessly between two different tones. 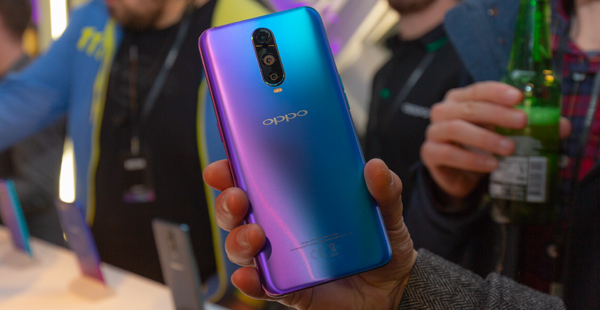 The presentation then drew to a close, but here’s some more fantastic news - we’re OPPO’s official retail partner in the UK. So you won’t be able to get these incredible phones anywhere else. 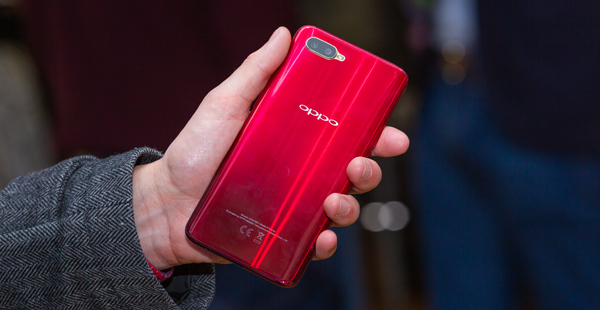 Pre-order the new range from OPPO at Carphone Warehouse today, before they launch officially on 13thFebruary.